It was often repeated during the Brexit campaign, and is still often heard as a sneering remark or a foreshadowing of doom, the supposed emergence of an EU Superstate that would engulf all nation-states in its wake. Mostly employed as a scare-tactic or knee-jerk reaction to even the slightest hint of further European integration, the derogatory nature of the word EU Superstate can in my view only be understood as a lack of foresight. Almost two whole decades, and a lot of turmoil, into the twenty-first century, there comes a time when we must be honest to ourselves about what challenges the future may hold. Because we believe deeply that the future of Europe can only be together, let me frame this as provocatively as I can. Contrary to the ramblings of those that wish to divide our European nations, a political entity that could, indeed, be called an EU Superstate would actually be essential to the continued peace, prosperity, freedom, and indeed very survival of our great continent. Frequent readers will know that the EU Superstate we envision would be a vastly different entity than the European Union we live in today. We boast that the European project, from its inception after World War II, through to the present day, has produced a miracle of unprecedented European peace and cooperation, bringing our continent great amounts of wealth and prosperity. But we also recognize that the current form it has taken is unsustainable. The European Union is haunted by dubiously handled crises, and surrounded by an air of decadence, political correctness and bureaucracy. For many people today, the feeling has crept up that the European Union is not for them, and that its leaders care more for themselves or for the rest of the world than for its own citizens. To restore trust and convince citizens of the potential and the necessity of uniting Europe, the European Union and our continent as a whole need a major rejuvenation. If an EU Superstate will ever be realized, it must be worthy of our continent’s name and of its people. Firstly, if anything resembling an EU Superstate should be legitimate, it should be of the highest democratic order. The democratic input of the European Union is currently based on a complex system of interlocking powers with different areas of influence. Initially implemented to curb fears of power imbalance, this system actually makes the whole process incoherent, confusing and obscure. People have the feeling that they have no real influence on European Union policy. To combat this, most importantly, our EU Superstate needs actual supranational political parties that all European citizens can vote on. Based in a reformed parliament, like in most national parliaments, these parties will have the ability to propose new laws, in addition to their monitoring role. Leading parties will be able to put forward the members of a reformed European Commission. This new Commission will be more potent in enacting policy, but it will only focus on the big issues, those that concern the whole of Europe. National governments will be in control of all national issues and will have an advisory role to the Commission based on mandatory opinion. This will ensure that individual member-states will remain an important factor in the supranational decision-making process, while giving the European institutions the capacity and mandate for effective action. Furthermore, the Europe of the future, as any political entity, should first and foremost serve and protect the interests of its own population. Therefore, our united continent needs strong outer borders, supported by an effective marine and territorial border guard and a strict migration policy. As the situation currently is, there is little obstruction for the daily arrival of hundreds of unvetted, unskilled migrants, even as Europe clearly struggles with issues resulting from mass immigration, failed integration and youth unemployment. This leaves us fighting a running battle. Our EU Superstate should have a migration policy akin to the Australian model, so that any person trying to illegaly enter Europe immediately gets sent away by a combined European coastguard, back home or to a third location. Only outside of Europe, in specialized camps, will it be possible to request asylum for those in actual life-threatening need, who will be able to apply for temporary refuge. Also, to repatriate the millions of illegal migrants already in Europe, acting as a united Europe will enable us to put heavy economic sanctions on those countries that refuse to take their people back. Does that mean our future EU Superstate will completely bar any form of immigration? Of course not, there is everything to be said for a controlled and vetted migration of skilled assets from around the world. Europe of the future must remain a powerhouse of intellectual and technological endeavor, it is therefore essential that our EU Superstate takes in the best the world has to offer. As the United States returns to protectionism and China looks across its borders, the 21st century will see an ever-intensifying arms-race on the field of cyber, energy and military technology. We must adopt a new entrepeneurial mindset, competing with the rest of the world for the best educated experts and professionals, the most advanced technologies and the strongest economies. This must be done within a framework of ever tighter European cooperation. We cannot compete with the world, if we are competing amongst ourselves. Only together, if we combine the resources and knowledge we acquire, will we triumph in this imminent struggle for power. If we want to hold our own in the turbulent world of the twenty-first century, apart from being an economic heavyweight, we need to be able to defend ourselves against aggression from foreign powers. Too long have we leaned lazily on our American allies. If we want to survive on our own, we need the capacity to act independently and regardless of the will of the United States, should we ever have to face our adversaries in military conflict. Each of our countries individually stands no chance against the military-industrial complex of a superpower like Russia or China, but together we may form the greatest military in the world. Creating a comprehensive and integrated military force has to be a top priority for the years to come. With dangers looming far and wide and the future of the world uncertain, we cannot be complacent. How the century develops, we can never know, but its first decades have shown us that we must be prepared for any scenario. And so, our EU Superstate must become a force to be truly reckoned with. A potent military force will act as a strong deterrent against foreign threats and will be key in securing our interests on the global stage. Though, threats do not always come from outside. 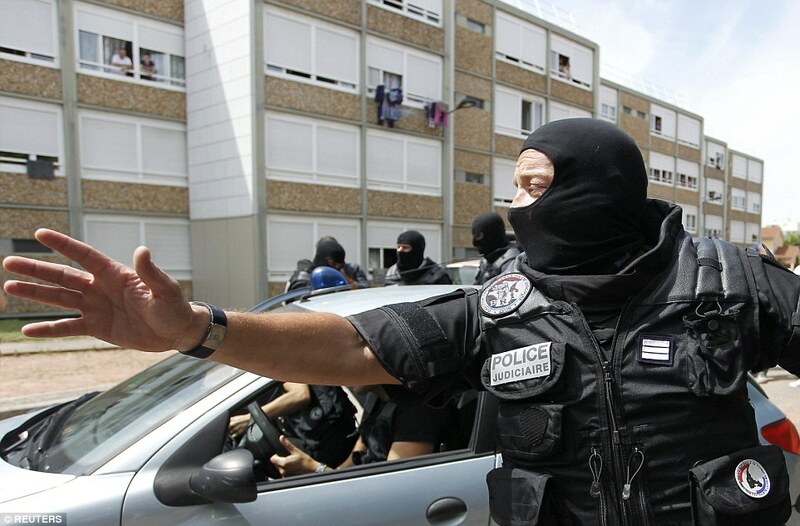 Europe has recently suffered a wave of Islamist-inspired terrorist attacks, which shows no sign of losing momentum. 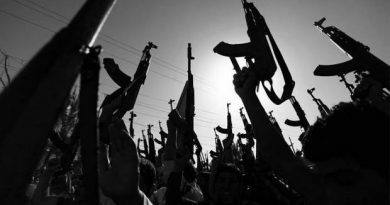 If we want to effectively counter such savagery, we need a closely knit-together network of intelligence to effectively track down Islamists and other subversive elements within our society. More controversially, known radical mosques must be closed, their visitors screened, funding to mosques and Islamic organizations from Saudi-Arabia and the Gulf States should be halted and known Islamist networks rounded up, its members where possible deported. Taking action will primarily be a task for national governments working in unison on an international level, assisted by national and newly formed supranational intelligence agencies. Strong, coordinated operations against radical Islamism will not only prevent suffering and the loss of life, it will be pivotal in restoring public trust in Europe. All this may seem like a far-fetched dream, a lone cry in the wilderness – and perhaps it is – but I would not be writing this if I hadn’t a bit of hope that such a future for Europe is possible. While the continent has recently endured some very dire times, and for some the situation seems hopeless, there are actually promising signs for those who are willing to look. For each of the issues I have discussed there are indications that we might be heading in the right direction. On the most pressing issues of mass immigration and Islamism, we have recently seen a change in attitude across the continent. 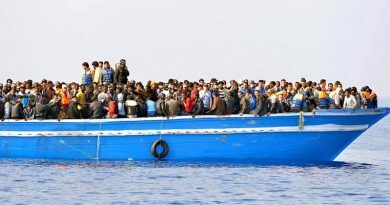 Last month, European leaders agreed on a comprehensive plan based on holding centers in Africa to curb illegal migration, while at the same time Italy has cracked down heavily on NGO’s facilitating the smuggling of migrants across the Mediterrenean and the European Commission has proposed sanctioning leaders and officials of North-African countries that refuse to take back illegal immigrants. Following several piece-meal efforts, the month of August already saw an 87% drop in migrants, as compared to the same period last year. Plans for a true supranational coastguard that were put forward by French president Macron have been met by welcoming ears in Berlin and elsewhere. Furthermore, in recent months, one could witness a remarkable shift in attitude towards the violent strands of Islam. Several European countries, including politically correct bulwark Germany, have denaturalized jihadists, European leaders like Donald Tusk and Emmanuel Macron are pointing out the ideology of Islamism as a clear threat to Europe and even Germany’s vice-chancellor is calling for the closing of Salafist mosques. Also worth mentioning in this context, is the extremely tough stance of particularly Germany and The Netherlands against Erdogan’s “Islamofascist” dictatorship in several heated confrontations. I can not help but view these developments as signs that we are finally beginning to stand up for our values and our civilization. It has also dawned on many European leaders that, institutionally, the time for reform has decidedly come. In terms of democratization, several initiatives have been put forward by members of the European Parliament and Commission. Most intriguing has been the idea to use the British seats in the European parliament opening after Brexit to create supranational electoral lists. Among other high-ranking officials, this idea has importantly been embraced by French president Emmanuel Macron. Being a great supporter of the European project and further European integration, this is seen by him and his administration as an obvious step towards a future democratic Europe. Meanwhile, effective decision making initiatives are in the works. There is widespread support for the installment of a European Minister of Finance to manage the EU budget, instead of the at least five different officials responsible for it now. To increase transparency and efficiency, it has also been proposed to merge several of the head offices of the European Union. Small as these reforms might seem, the optimist in me sees in them the seeds of an institutional framework similar to what I have described above. 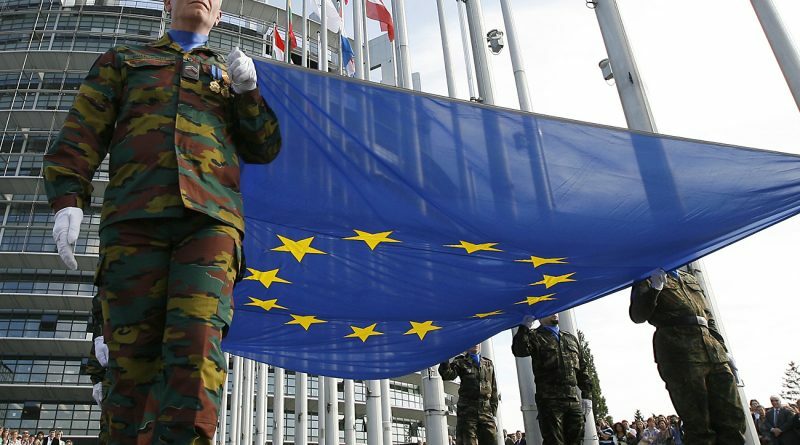 Contentious as it may be, we will always wholeheartedly argue for integration of European military forces. The need for this cannot be overstated. Far from advocating for a swift relinquishing of military sovereignty to Brussels’ bureaucrats, even the staunchest opponent to an EU Superstate, cannot disagree with the wide-spread call for narrower military cooperation in Europe. Tens of billions of Euro’s can be saved by synchronizing weapon-systems, better allocating ammunition supplies and organizing more shared training operations. Furthermore, a more thorough alignment of the command structure will enable us to respond to imminent threats in a much more efficient way. Last May, EU leaders announced a comprehensive defense cooperation plan that will work in collaboration with NATO. Many EU leaders have also pledged that they will spend considerably more on defense in an effort to meet NATO military budget demands. More ambitiously, and so also more controversially, several initiatives are now in place for a truly supranational military force. Before the summer, the European Defense Fund was opened and more recently Emmanual Macron has stepped up efforts in forming a European intervention force. 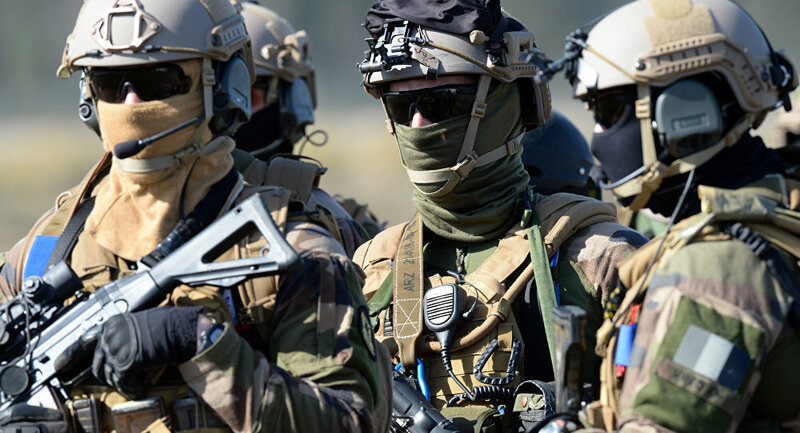 Definitely most controversial has been the quiet assembling of an integrated military force of several smaller European countries into the German Bundeswehr. Developments like these are sure to get the defense debate rolling once again, and it seems only wise for member-states to hop on a train that clearly has almost left the station. Starting out, the tone of this article has been particularly cautionary, emphasizing the things that aren’t going well and calling for immediate and thorough action. I have also outlined what I have seen as the beginning of solutions for the challenges Europe faces. However, for all our problems, we must never forget that we also have a lot to be celebrated. On many levels, the working together of our nation-states has already proven an achievement in itself. The peace and prosperity we live in today is testament to that success. By building the largest free-trade zone in history, and thoroughly integrating our economies, we have laid the groundwork for a highly competitive power bloc. The economy of the European Union is the second largest in the world and our currency ranks among the strongest. To stay competitive in the 21st century we must continue to build on this framework and always be willing to adapt to the circumstances. In response to the isolationist rhetoric coming from the White House, Macron has called for a sort of Europrotectionism, in which preference is given to European-borne goods, jobs and services. Subsequently, he has engaged in a sort of neo-mercantilism, offering American energy-tech scientists subsidized jobs in France. In reaction to Trump’s accession, the European Union has at the same time signed several new high-profile trade deals, notably one with Japan to rival the defunct NAFTA-deal. The newly competitive attitude and the healthy mix of protectionism and economic liberalism that it foreshadows, is likely to give us an edge against the rest of the world. As China rises up like a dark cloud on the horizon, and the United States retreats from the world stage, the time has come for Europe, after almost eight decades of lulling comfort, to finally face up to the realities of the world. The lines of competition for the 21st century have been drawn, and the window of opportunity is quickly drawing to a close. If we do not own up to the challenge now, and begin the transition into a true superpower, our societies might, at the turn of the century be reduced to nothing more than a hull of their former selves and we might end up just another lost civilization. The road will be tough, but with hard work and confidence, Europe may rise to its full potential. If the will is there and the pieces are put in place, the mere fact that our nations stand together as one, will be the most powerful asset of all. ← Catalan independence: what does it mean for Europe?